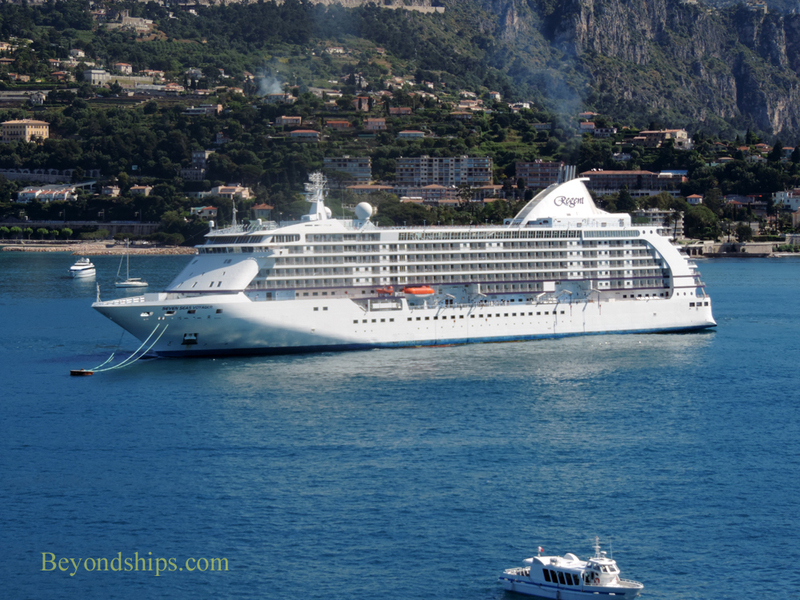 Villefranche is reportedly the most visited cruise ship port of call in France. This is because the town (population approximately 5,400) is convenient to the major tourist destinations of the French Riviera including Nice, Monaco, St. Paul de Vence, and Eze. 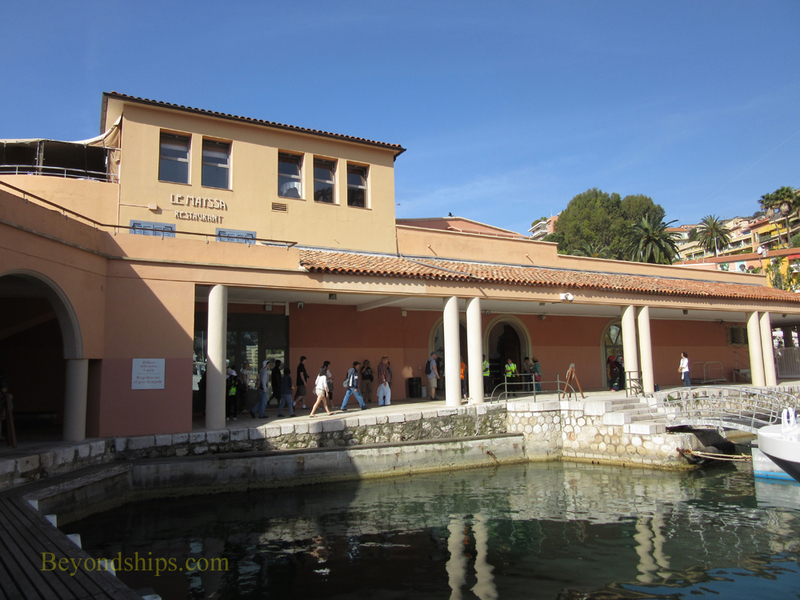 Perhaps surprisingly therefore, Villefranche has no facilities for docking a modern cruise ship. Rather, the ships anchor in the town's deep bay and tender passengers ashore to a small terminal in the center of town. Villefranche is a pretty town in a picturesque setting. It is easy to see why the rich and famous have flocked to this area since the 19th century. As such, Villefranche goes beyond the average cruise port. 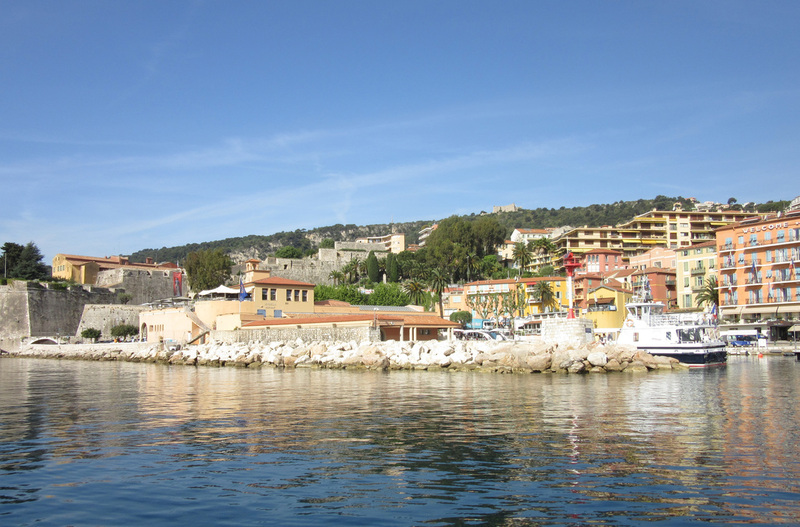 Although there have been people living in this area since prehistoric times, Villefranche dates from 1295 when the Count of Provence established the town as a free port. The combination of a deep natural harbor and tax advantages enabled the town to grow and flourish. In 1543, the port attracted the attention of Turkish pirates who sacked the town. This led to the construction of two fortresses - - the Citadel St. Elme to protect the town from seaborne attacks and the Fortress Mt. Albon on the hill overlooking the town to protect from land assaults. Over time, however, Villefranche became overshadowed by its neighbors Nice and Monaco as a commercial center. However, its deep bay continued to be put to use for military purposes. In the 19th century, it was a Russian naval base and between 1948 and 1966, it was the home port for the U.S. Navy's Sixth Fleet. Today, tourism is the mainstay of the local economy. Above: The Citadel St. Elme. Below: The Fortress Mt. Albon. 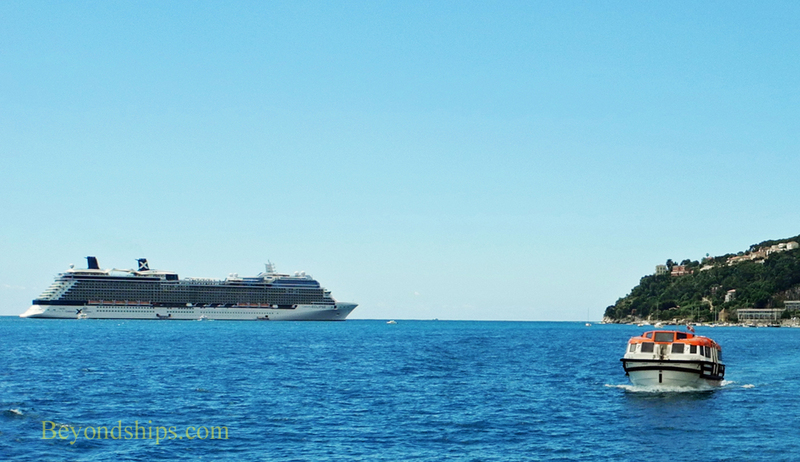 Most cruise ship passengers just pass through Villefranche on their way to the more famous towns of the Cote d'Azur. However, if you have some time before or after, Villefranche is a pretty town that deserves a look around. Landmarks include the Citadel, now the town hall and the location of four museums; the Chappelle St. Pierre with its Jean Cocteau murals; the 18th century baroque L'eglise St. Michel; and the Rue Obscora, a medieval underground street. However, the real attraction is just walking the streets with their colorful houses and cafes. If it looks like something from a movie that may well be because Villefranche has been used as a set in numerous films including Hitchcock's To Catch A Thief, the James Bond film Never Say Never Again, and the Jewel of the Nile. Villefranche has been hosting cruise ships since the 1980s. But as noted earlier, Villefranche is a tender port. The small cruise terminal where the tenders arrive is essentially an assembly point for shore excursions and a place to shelter while waiting for a tender to return to the ship. 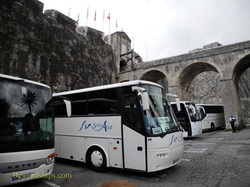 The shore excursion buses park next to the citadel, which is a nshort walk (uphill) from the cruise terminal. For independent travel outside of Villefranche, there are trains and buses that go to Monaco to the east and Nice to the west. Villefranche itself is best seen on foot. However, it is somewhat hilly. 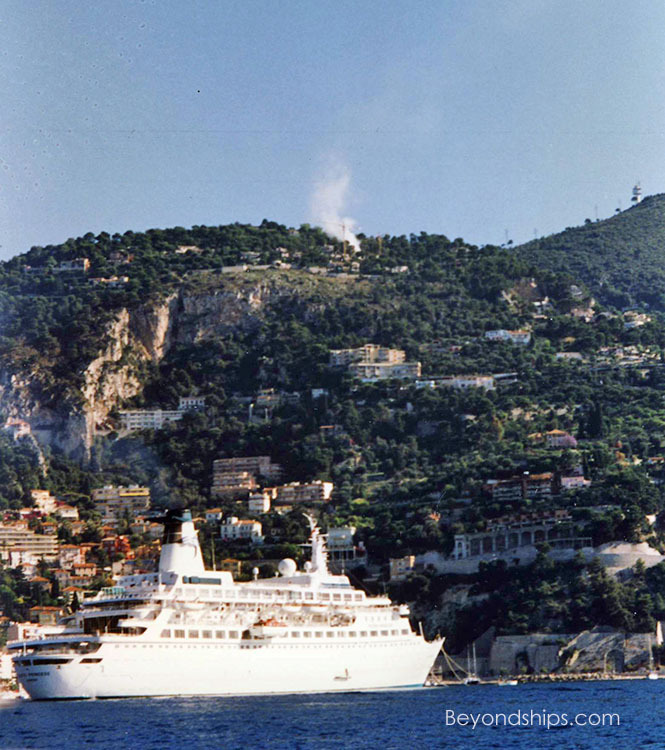 Above: Seven Seas Voyager in Villefranche. Below: A tender from Celebrity Eclipse arriving in town. Historic ships in Villefranche. Left: The original Love Boat, Pacific Princess. 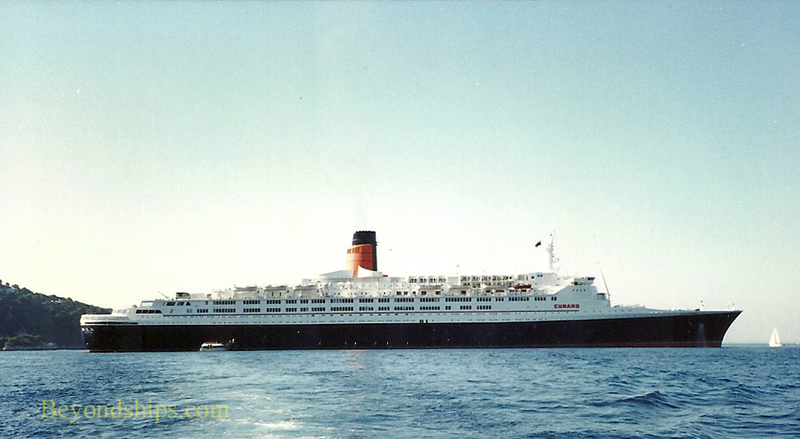 Above: Queen Elizabeth 2 (QE2). Below and below left: The cruise terminal.